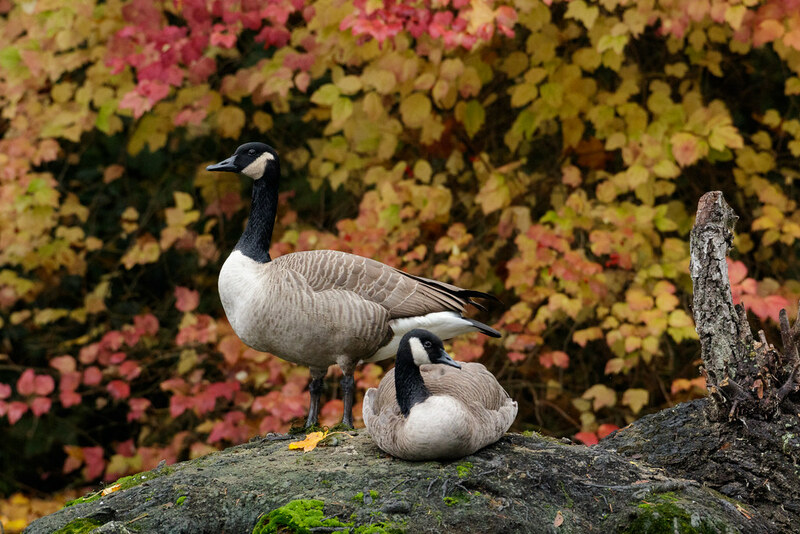 A pair of Canada geese rest on a fallen tree on a fall morning in Portland, Oregon. This entry was posted in Birds and tagged Canada goose, Crystal Springs Rhododendron Garden, fall, fall color, leaves, Oregon, Portland, resting. Bookmark the permalink.